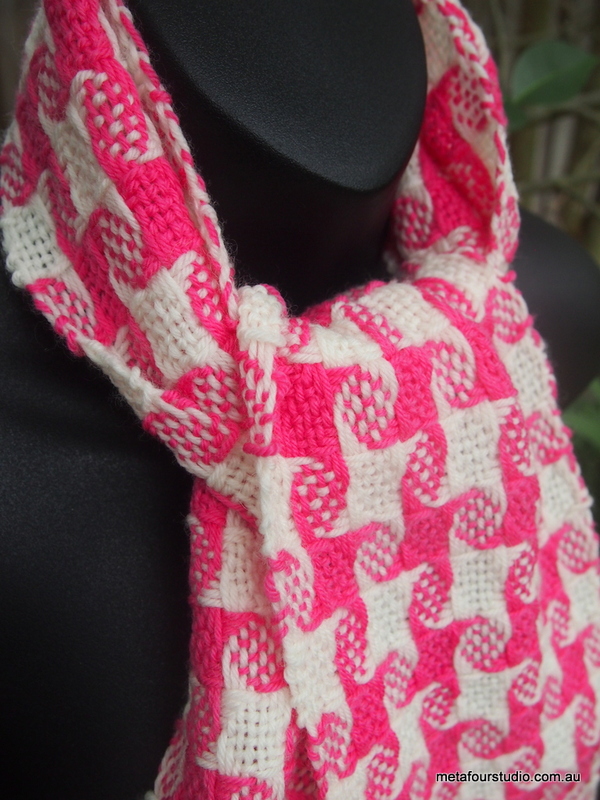 Bright candy pink and white pinwheels make for a fun scarf with a lot of personality. 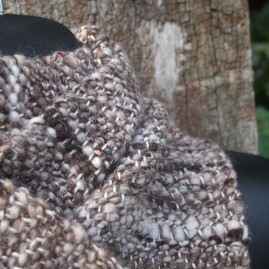 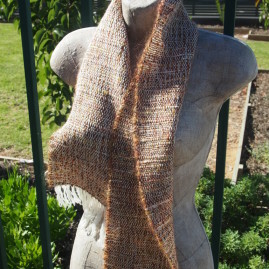 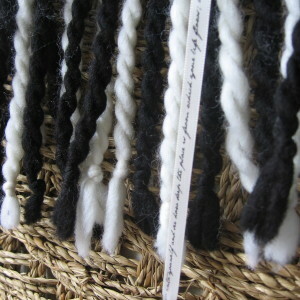 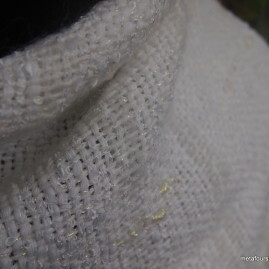 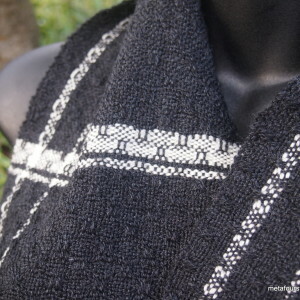 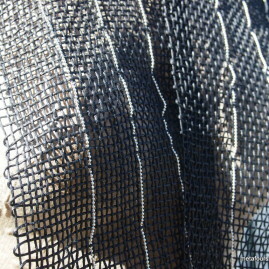 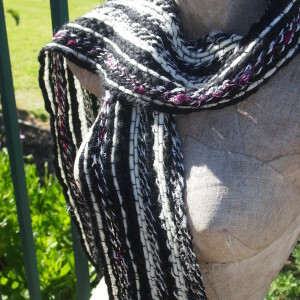 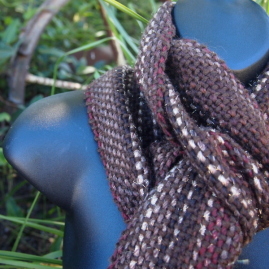 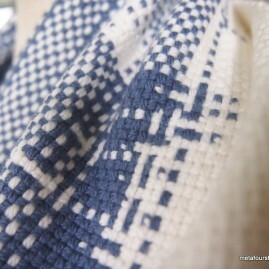 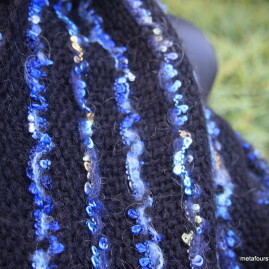 Handwoven from 100% soft Merino wool, this is a soft and cuddly scarf with great drape. 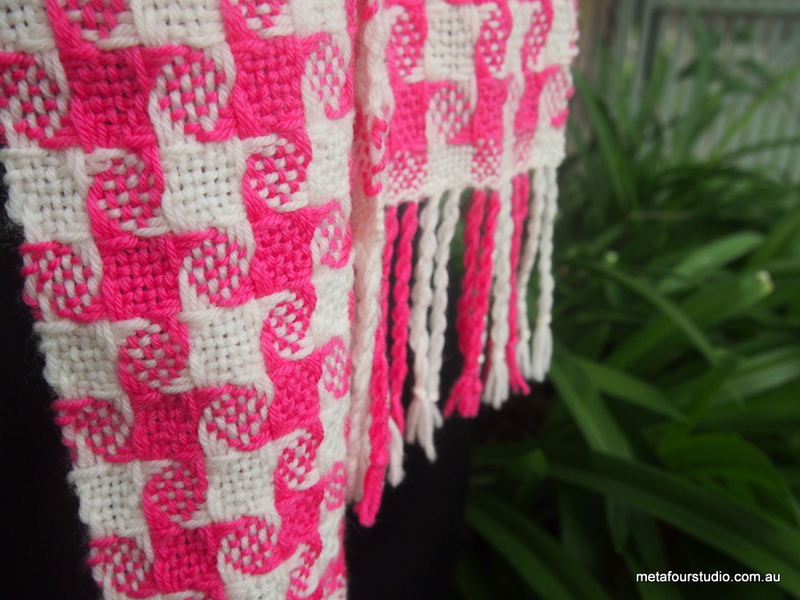 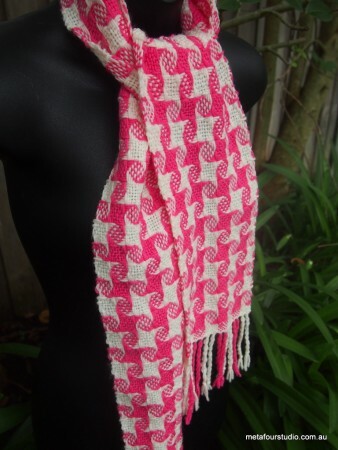 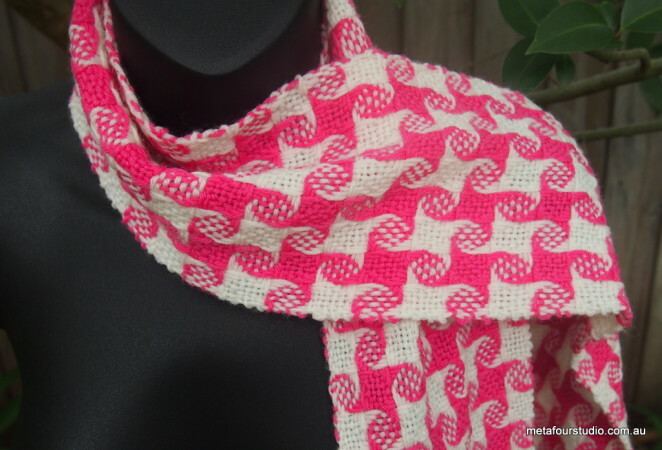 Detail: Handwoven scarf in pink and white pinwheel. Availability: One of a kind, not for sale.